Bounce Milwaukee is proud to offer free valet parking and charging for your electric vehicle or plug-in hybrid. Simply pull your car in front of the main entrance, hand your key to our front desk staff, and they'll pull it around and charge it for you while you play, dine, or relax. We are a Tesla Charging Destination, and equipped with two Gen 2 Tesla chargers (50A) as well as one 50A universal charger, all graciously provided and installed by Tesla Motors. The electricity is provided (at least partially) by the sun, and the 120 solar panels on our roof, in part through a grant from Focus on Energy. They're cool, and they exist solely because Wisconsin thankfully mandates that crappy energy monopolies like We Energies, which has done its best to discourage and penalize solar while trying to paint itself "green," pay into a fund which works against them. Anyway, thanks, Focus. Running a little low on electricity, but we're not open? We'll leave our chargers on for you anyway - they're located in the rear of the building. If you're feeling generous, and would like donate a few dollars to the Midwest Renewable Energy Association, though, they'd appreciate it. From Highway 43N: Exit at Holt Ave East (Exit 314) and turn right off the exit onto Holt. At the second light, turn left onto S. Chase Ave. Follow Chase to Rosedale and turn left onto Rosedale (across from Klements Sausage.) We're at the intersection with the stop sign at Rosedale and 5th Court. From Highway 43S: Exit at Becher St and turn left onto E Becher. Turn right onto S 1st St, just after crossing the river. Follow 1st until it ends at Chase Ave, then left onto Chase. When you see the Klements Sausage sign, turn right onto Rosedale. We're at the intersection with the stop sign at Rosedale and 5th Court. Valet Disclaimer: All vehicles are parked at owners risk. No liability is assumed by management for loss or damage by fire, theft, or any other cause to, or by the vehicle while in custody of management. All claims must be presented before vehicle is taken from facility. Any person driving becomes the agent of the owner solely. 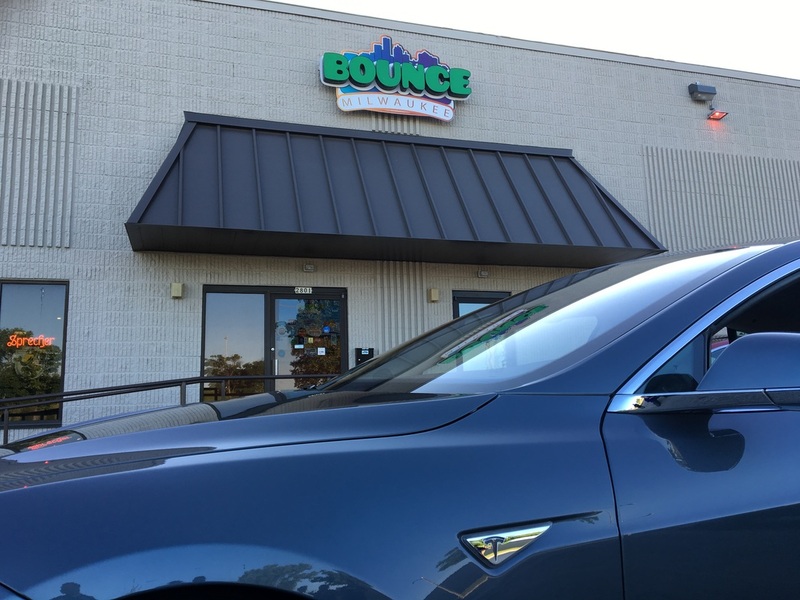 Bounce Milwaukee is not responsible for articles left in the vehicle or for mechanical problems. Please remove all valuables from vehicle.